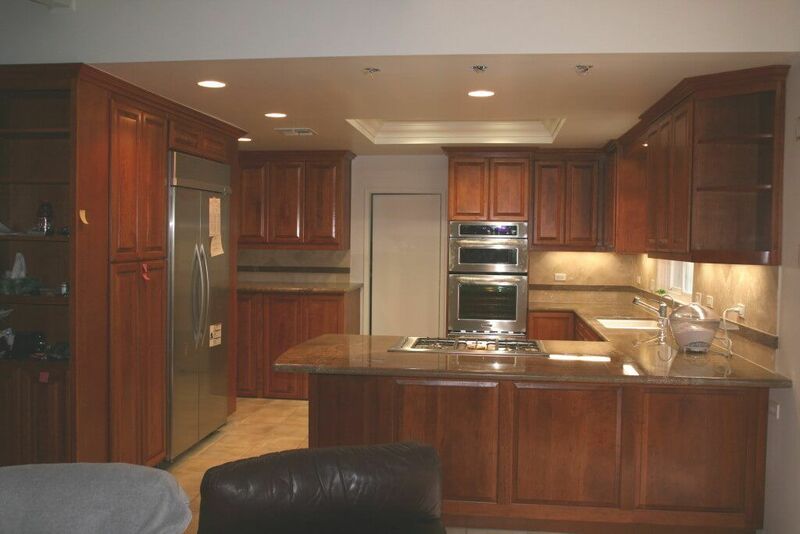 Cabinet Refacing is the quickest, most economical, least expensive way to upgrade and update your old kitchen. 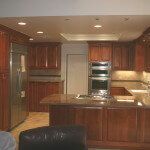 We, at I & E Cabinets are experts in turning old, worn out looking kitchen into a source of pride and pleasure every time you look at your kitchen. 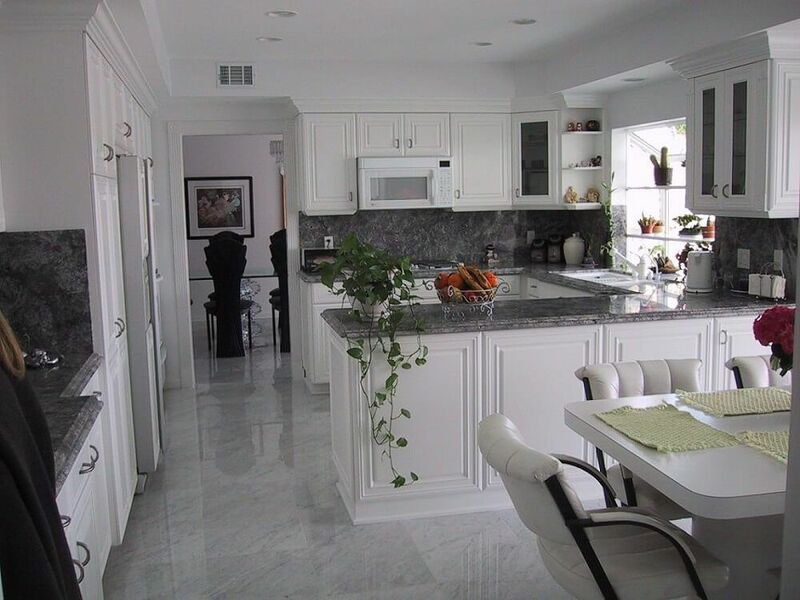 Cabinet Refacing, also called Cabinet Resurfacing, is quicker, more convenient, less invasive and most importantly, less expensive than a major remodeling renovation job. In just a few working days you can have your Dream Kitchen! 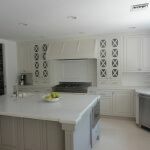 Refacing kitchen cabinets means putting a new “face” on your cabinets. 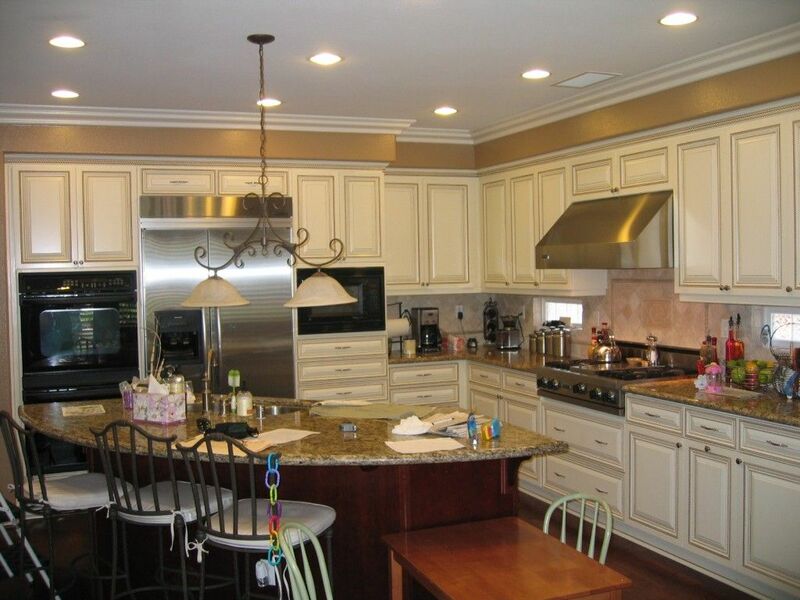 By the time we’ve finished our magic, your refaced cabinets will look as good (if not better) than new! 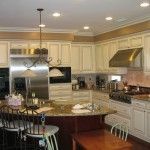 And with the addition of a few inexpensive accessories your kitchen cabinets can be much more functional. 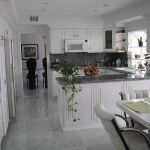 For example, roll out shelves and tilt trays make your kitchen more practical, increase cabinet storage, ergonomically easier and overall, a much more pleasant kitchen to work in. 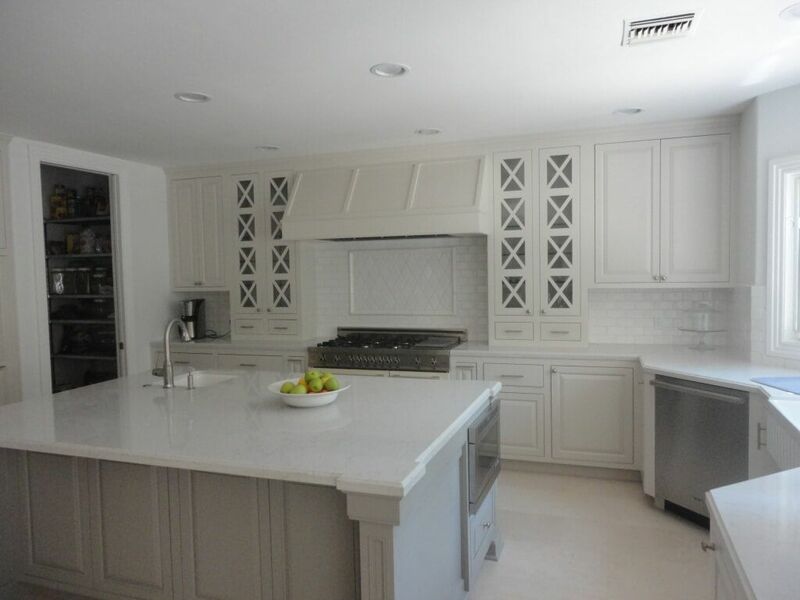 Here are the 6 Easy Steps on how we do cabinet refacing. We remove all the old and tired looking doors and drawer fronts. Sand and roughen the cabinet box finish. Cover the exposed cabinet frames with a new layer of wood veneer or laminate, depending on what you have chosen for your kitchen design style. Replace with new doors and drawer fronts. Stain and finish the raw wood veneer.